With high ductility Kamdhenu TMT bars are best equipped to resist earthquakes of high impact. 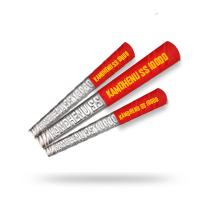 Kamdhenu brand HSD bars are being manufactured by most advanced technology. Strength of the bars are carefully controlled by optimizing the water pressure for their pearlitic core and tough surface of tempered marten site, thereby providing an optimum strength, ductility and toughness. 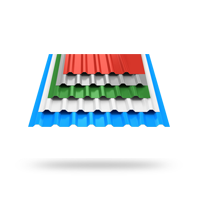 TMT bars are widely used in general purpose concrete reinforcement structures, bridges and flyovers, dams, thermal and hydel power plants, industrial structures, high-rise buildings, underground platforms in metro railway and rapid transport system. 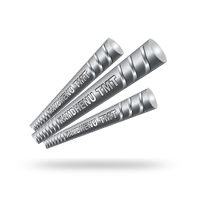 TMT Bars are thermo-mechanically-treated through leading world tempcore based technology for high yield strength. The process involves rapid quenching of the hot bars through a series of water jets after they roll out of the last mill stand. The bars are cooled, allowing the core and surface temperatures to equalize. The bar core cools down slowly to turn into a ferrlite-pearlite aggregate. Kamdhenu Limited, Bhiwadi unit has been authorized to manufacture Tempcore TMT under licence agreement. Q: What is TMT Bar? Ans: It is a special type-of bar manufactured using a latest technology. In developed countries only TMT Bar is used for construction activities. Q: How TMT Bar is manufactured? Ans: This high quality bar is manufactured using most advanced technology of the 21st century called 'Thermo Mechanical Treatment'. Q: Why should you use TMT Bar? Ans: Because it is very strong, ductile and economical. Q: How it is economical? Ans: Because of its 20 % more strength. Q: Is TMT Bar used for high rising building, bridges and dams only? Ans: Not at all. It is used for all types of construction works ranging from buildings to dams. Q: So what are the other specialties of this bar? Ans: 1. It is earth quake resistant because of its high tensile strength and flexibility. 2. It is less affected by rust. 3. It has 4 % less weight per meter than normal that makes it economical. 4. It has more strength to sustain fire. 5. It bonds strongly with cement than other reinforcement bars. 6. It does not peel off the skin while working with it. Q: How can distinguish genuine Kamdhenu TMT Bar? Ans: Kamdhenu stamp on every meter of bar and red Kamdhenu strip on every bundle proves the genuineness of Kamdhenu TMT Bar. So watch out for these two things while purchasing Kamdhenu TMT Bar. Q: Is there duplicate TMT Bar available in the market? Ans: Yes, Duplicate TMT Bar are very much available in the market from local manufacturers who apply water on cheap bar during production to make them look alike TMT Bar. Some other brands are sold saying it is product of Kamdhenu. Q: How can duplicate TMT Bar be detected? Ans: Just avoid the local products. Go for reputed brands to avoid any cheating and fake products. Q: How many grades are there in TMT Bar? Ans: There are 9 grades in TMT Bar. However, commonly used grades are - Fe - 415, Fe- 500 & Fe- 550 and their D grade also. Fe- 550 is the strongest among the three. 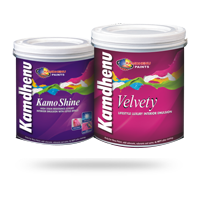 Kamdhenu has the credit of manufacturing Fe - 550 grade Bar first time in India. 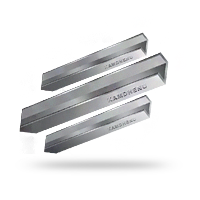 These three grades of Kamdhenu Bar come at 8 mm to 25 mm range, 28 & 32mm range also. Carbon 0.30 Max. 0.30 Max. 0.24-0.33 % 0.22 Max. Sulphur 0.06 Max. 0.06 Max. 0.05 Max. 0.05 Max. Phosphorus 0.06 Max. 0.06 Max. 0.06 Max. 0.05 Max. S+P 0.11 Max. 0.105 Max. 0.110 Max. 0.100 Max. Carbon 0.30 Max. 0.25 Max. 0.30-0.40% .22 Max. S+P 0.105 Max. 0.100 Max. 0.100 Max. 0.100 Max. Carbon 0.30 Max. 0.25 Max. 0.30-0.40 0.022 Max. Sulphur 0.055 Max. 0.050 Max. 0.05 Max. 0.050 Max. S+P 0.100 Max. 0.090 Max. 0.100Max. 0.100 Max. 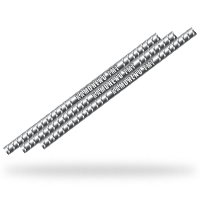 TMT (Thermo Mechanicallly Treated Bars) are the most popular reinforcement bars in the world. 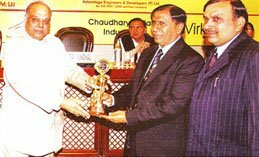 Kamdhenu Group is the largest reinforcement bars manufacturing group in India. 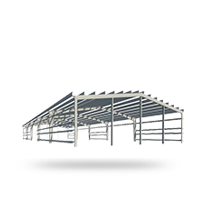 The group is manufucturing international quality TMT of Grade bars with best features for construction industry. High speed Latest Technology TMT Grade Fe-500, Fe-550, Fe-500D has the best strength with better mildness, better corrosion resistance, better bond strength with cement, Resistance to fire hazard, excellent ductility, higher fatigue strength, easy work ability at site, better results than BIS standards, savings of 14-19% steel, reduction in construction costs. Standard Length 11, 12 mtrs. Against IS : 1786/2008 Grade Fe- 415, Fe -500, Fe- 550, Fe- 500D for chemical composition, mechanical properties & dimensional Tolerances, Material can be supplied also as per international standard like DIN 488 - Bst 500. BS 444 Gr. 450 ASTM 615 etc. Or any special requirement of customers. Click here to download the Kamdhenu 500-D TMT Brochure.